What is it like to have been a Crew Captain in three cities? What is something you long for, week after week? For me, it ultimately depends on where I am. If I’m in Barcelona, I’m looking forward to a sweaty, rambunctious 10km run on a Monday night through La Barceloneta with the Mediterranean Sea breeze at my back. If I’m in London, Tuesday evenings can’t come soon enough, when I’m rewarded for doing burpees by the picturesque backdrop of St. Paul’s Cathedral and the company of 100+ friends. 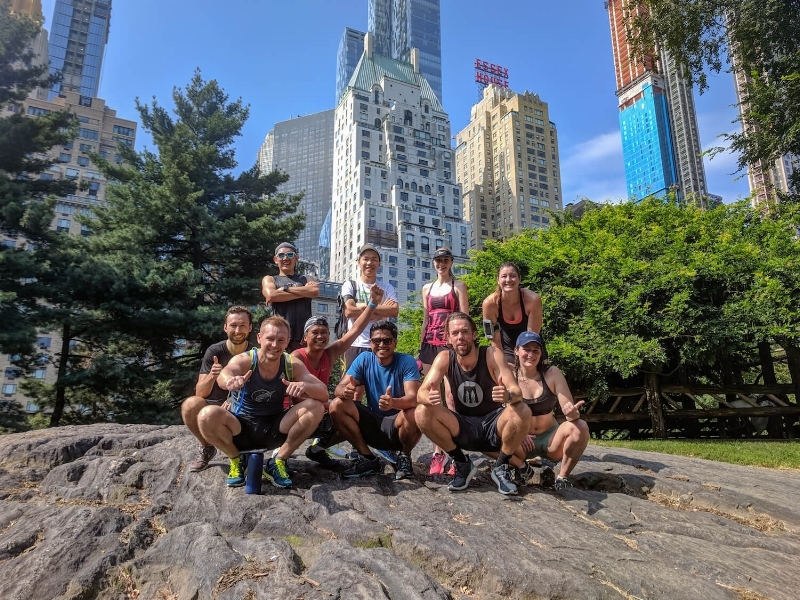 And if I’m in New York, where I now call home, a distance run around the lush, late-summer grass on Randall’s Island with some fellow weekend warriors never fails to show me the best parts of this beautiful thing we call life. This is not meant to be some sort of humble brag. I have been fortunate over the last couple of years to live around the world for work, studies and well…a little bit of fun (yes, that’s a reference to Spain). I have always been a fitness advocate, from running to yoga to weightlifting, and doing my best to maintain a balanced diet (I have long believed that community-based fitness could be one of the greatest micro solutions to macro problems in the present day). But it was a little bit of serendipity that got me to join a small group of runners at the Arco de Triunfo on a brisk January evening in Barcelona. The group, of course, is Midnight Runners (MR). They had a knack for turning the city into a fitness-focused playground, and I was hooked. Little did I know, I would run ~1,000 kilometers (>600 miles for my fellow American readers) and make countless memories as a bi-product of this group over the next eight months. I even ended up living at the house of one of the runners who was there on the first night. When one of my university friends came to visit he referred to the MR Crew as my ‘tribe’ – he couldn’t have described it better. 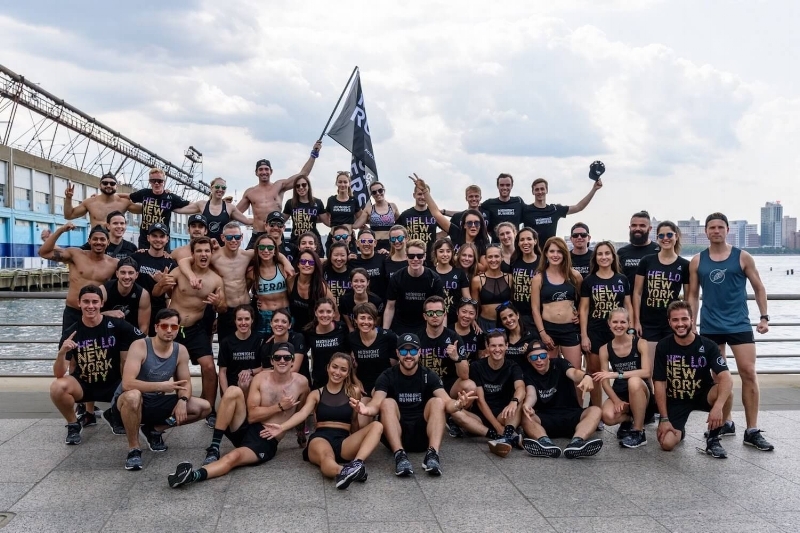 In my opinion, Midnight Runners is an exceptional advocate for three things: community, fitness and diversity (some of the Crew Captains might say a good dance party could make four, but I’ll bucket that under ‘community’ for the sake of this article). In terms of community and fitness, you can speak to almost any Crew Captain or community member, or view content here, or here, or here, or here, or...ok you get the idea…to get some sort of testimonial. However, as MR continues to grow globally, and given the fact I have experienced three major MR markets in relative depth, I wanted to take the opportunity to touch on the diversity and internationalism of MR that is at the core of the community. As of this writing, MR has permanent communities in seven cities internationally, counts over 100 nationalities amongst its members and has led events in countries ranging from Hungary to Australia. Every week I meet someone with a different profession, nationality or belief system. It is truly something exceptional when extreme differences are united with a goal of societal betterment. Nevertheless, it is worth asking the question, why does diversity and an objective international perspective matter in this context? I mean, if I am looking to improve my fitness or make friends, surely I would want to be with people that have the same perspective as me, right? Well, as you may have anticipated, I wholeheartedly disagree. More colloquially: Get outta hea! (New York); I’m afraid I might have to disagree (London); ¿Queréis ir a la playa? (Spain). Qualitatively, I disagree because the phenomenal amount of diversity at MR often leads to fresh training ideas and exposure to athletic events in locations I wouldn’t have otherwise thought of. It also provides a default support system to get you through the most difficult part of a race, or a new group of friends if you want to get outside of your comfort zone on a weekend. Moreover, it allows us to appreciate one another as individual human beings, instead of the opposing group structures we sometimes get put in by contemporary media. Earlier when I referenced macro-problems, it was because I’m a believer that this is a grassroots way to foster productive discussion and support for one another, in a world where that can be absent. Finally, on a more lighthearted note, I often find myself gaining fun and largely impractical skills via MR, such a plethora of German curse words, or where to buy a Spice Girls costume in Catalunya. Quantitatively, there are a myriad of corporate reports that show firms with higher relative diversity perform better. The seemingly most quoted data is found in McKinsey’s “Delivering Through Diversity” report. Their most recent report, in January 2018, showed that firms that are in the top quartile of ethnic diversity are 33% more likely to produce above-average financial results. While MR isn’t a typical corporation, the impact is undoubtedly the same. Anecdotally, I have run PBs at the marathon and 10k distance within months of joining this group, and I know I’m not the only one (shout out Geth!). On my final run in Barcelona, I told the community that MR had changed my perspective on life, and I meant every word. For me, what started as a few people running on a cold Monday night turned into a vehicle to promote health, wellness and positivity in the world. I regularly make a point to remind myself the power of this. Today (especially in big cities), it is too easy for relationships to be transactional. Furthermore, and almost paradoxically, with the proliferation of technology, we often find ourselves in negative feedback loops, where we listen to the same ideas and interact with the same type of people. MR in Barcelona and subsequently in London and New York has enabled me to broaden my perspective on life on a weekly basis, and in the most positive and energetic way. To me, this is invaluable. This community has made me a better athlete, and (I like to believe) a better person. Whether they express it outwardly or not, I would bet other MR members think the same for themselves. Whether you are a chef in Spain (vamos Johnny), a graphic designer in London (big up Sammy), a finance professional in New York (howdy April), or anything in between, the Midnight Runners community would love for you to come join. You’d be amazed the kind of inspiration this community provides for fitness and more generally, for life. Come out for a signature 10km bootcamp run during the week, a long run on the weekend or if you’re really feeling adventurous, we occasionally do a marathon in Somalia, a 100+ miles in Tajikistan, or throw a fitness/music festival in the English countryside…nothing too out of the ordinary…right? On behalf of the thousands of Midnight Runners members and crew around the world, we can’t wait to run / dance / travel / sweat / sing / celebrate with you – welcome to the community.